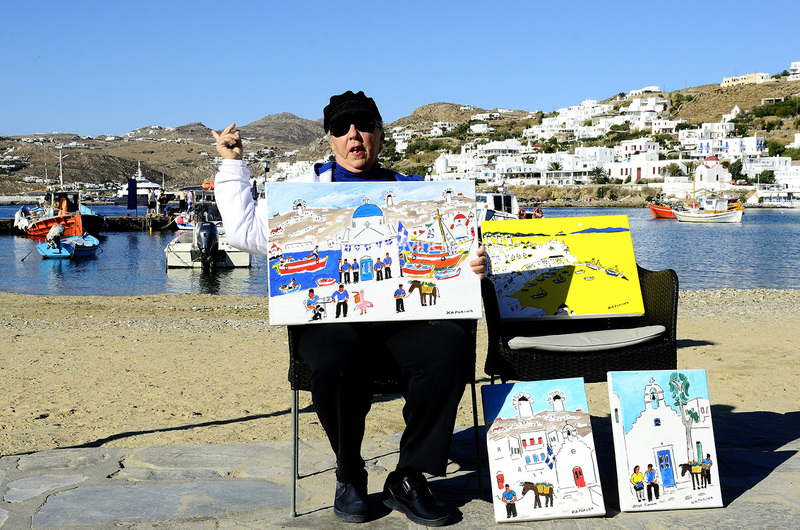 The resident artist of Mykonos who sells her own paintings at the morning market. There is something magical about these Greek islands in the Agean Sea, where the deep blue sea merge into the horizon and blend into spotless blue sky with fluffy white cloud rolling by. The toy like houses in mostly white and blue or some soft pastel colours filled the steep slope of Santorini making it one of the most popular tourist destination in the region. 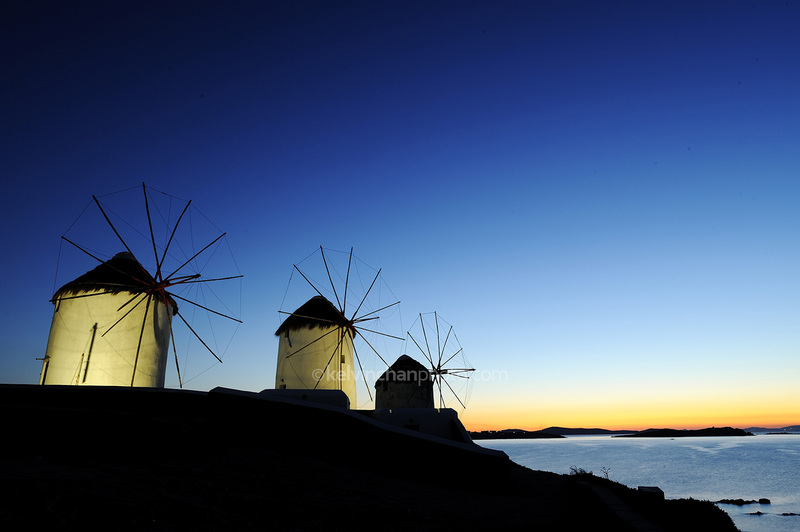 The relatively flat island of Mykonos has it own attraction with its many beaches, crystal clear blue sea, cool café and nightlife.